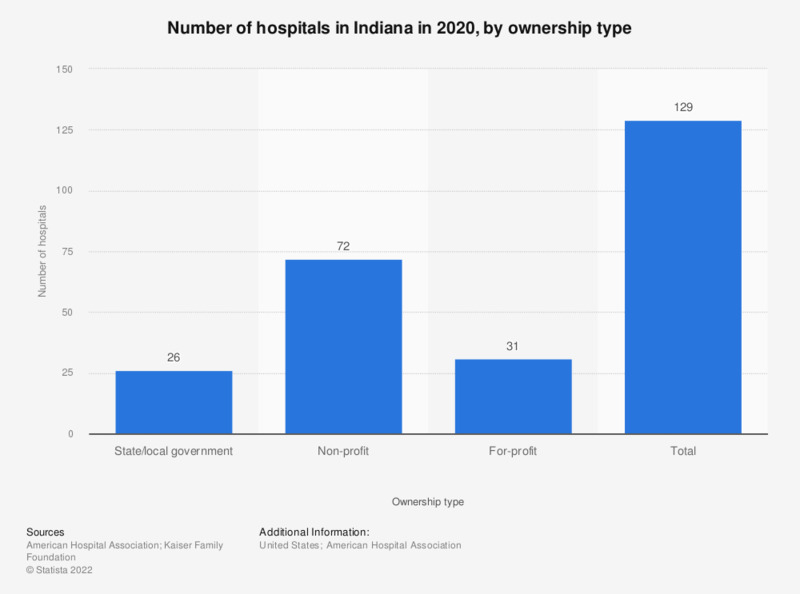 This statistic depicts the number of hospitals in Indiana in 2016, by type of ownership. During this year, there was a total of 119 hospitals in Indiana. Over half of the community hospitals in the U.S. are considered non-profit facilities.